Everyone loves makeup, (and if ya don’t, what exactly are you doing reading this post? ), but not everyone loves the high price tag that can sometimes come along with it. But guess what?! Makeup doesn’t even really have to be expensive, if you know what you’re doing. 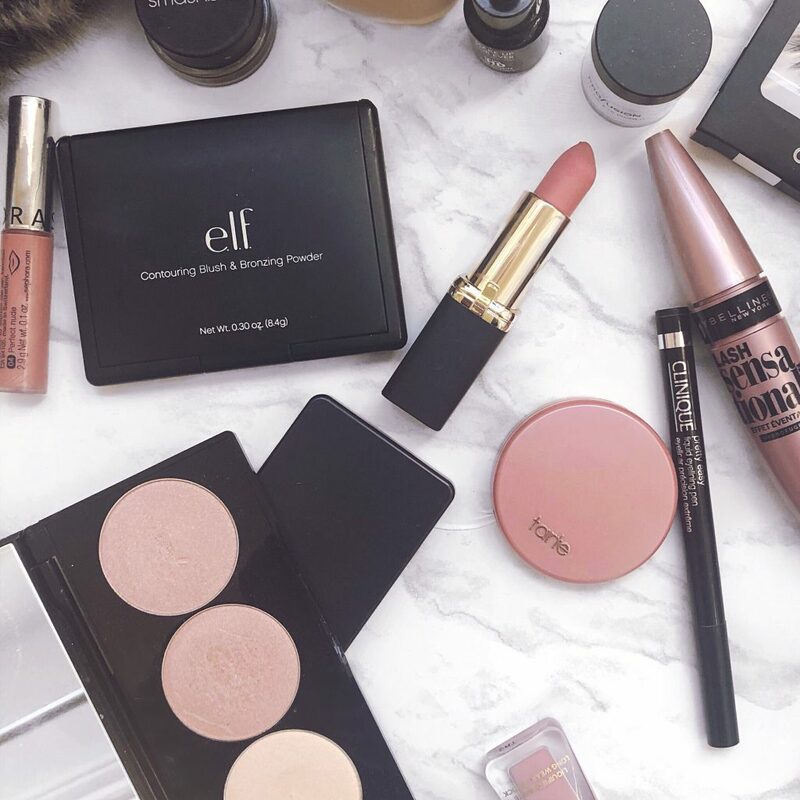 Just follow these tips and before you know it, you’ll have your own complete makeup collection, without having to spend more money than you have. Also, make sure you’re signed up to email lists, where brands love to send exclusive discounts and updates on flash sales. Worried about spam? (Brands love to spam too). Just create a separate email account for store and brand sign ups only, that way your inbox doesn’t get flooded and you still get those discounts! Just because something is on the clearance rack, doesn’t mean it’s not good. 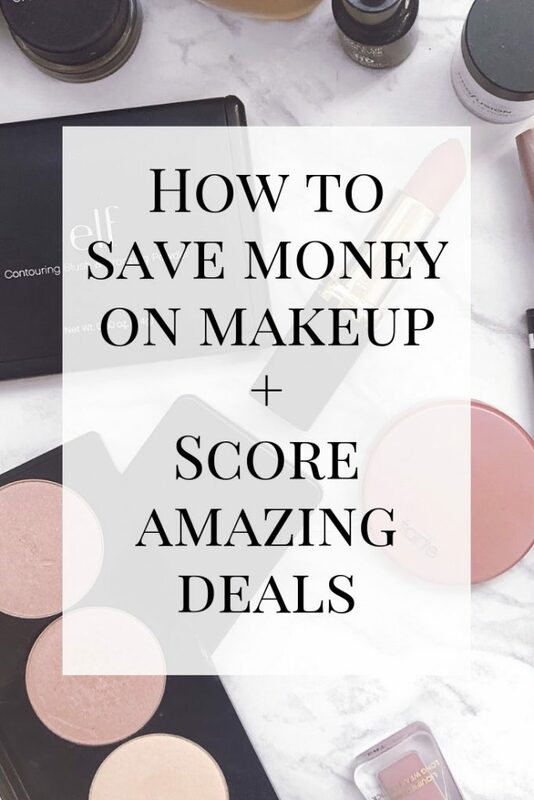 It might take a little extra time, but you’ll be sure to score a sweet makeup deal searching the clearance section of your favorite stores every once in a while. Stores like TJMaxx, Marshall’s, and Nordstram Rack have awesome discounted makeup sections too. 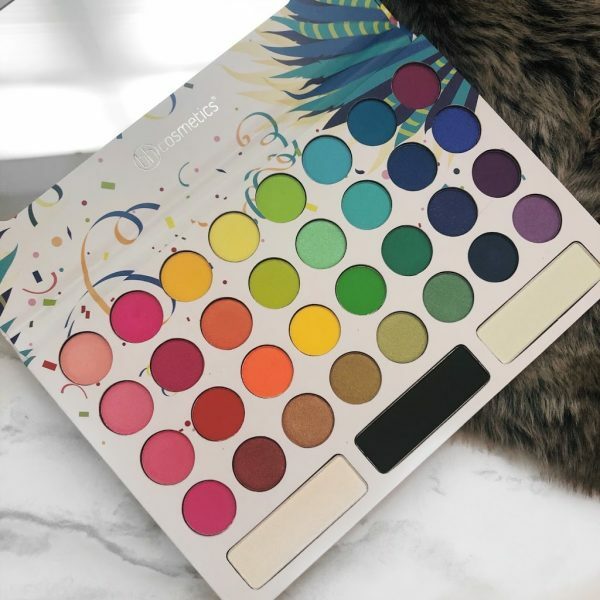 You can score a brand new $40 eyeshadow palette for half off, (or more! 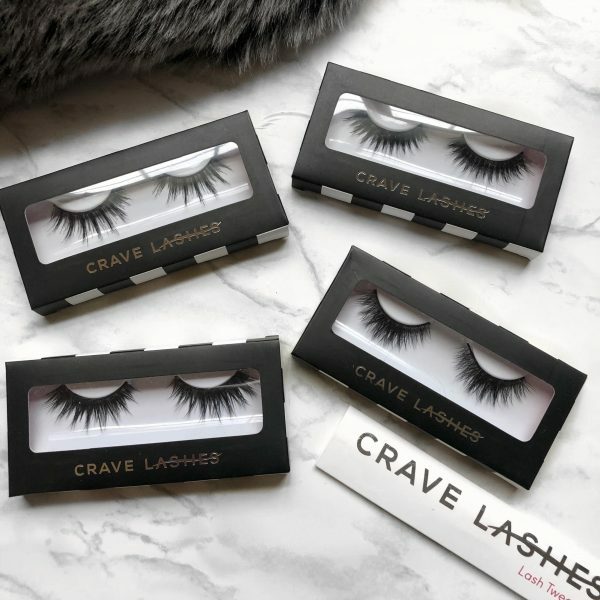 ), plus even more crazy-good makeup deals! Just be careful. Clearance sections tend to be a little messy and some products could be damaged or have things missing. Make sure you thoroughly check all products before purchasing, especially because clearance items are often not eligible for returns. Us bloggers are useful for something, (wink, wink). Whenever you’re considering buying a new product, make sure you check out some unbiased reviews. Quickly search the product you’re looking for on google and read a few reviews, you’ll get a good idea of whether a product you’re thinking of buying is worth it or not, or at the very least, you’ll have the right expectations. Who knows, maybe a product that was hyped up by brands and celebrities, didn’t work quite as well with the general population. Doing a little research before impulsively making a big purchase will certainly save you money in the long run. Sephora does annual sales that differ based on membership status, (Beauty Insider, VIB, & VIB Rouge), these sales are great for buying high end makeup that usually doesn’t go on sale throughout the year. Ulta does their own semi-annual sale, the 21 Days Of Beauty sale, where they feature specific products on sale for those days. Other big department stores offer big sales at different times of the year too. Just search some sales, mark your calendar, and pay attention to, (or even write down), what products go on sale during these sales. Patience is key here, but big store sales like these may be the best time to purchase those expensive products you’ve been eyeing for a while. Never underestimate the power of a travel size product. Sometimes you’re interested in buying a product, but after reading some reviews, you’re still not sure if you’ll actually like it or if it will work for your skin. To drop a ton of money on a full size product just to try it out may not be the best idea. If you end up not liking it, or worse it ends up breaking you out, you’re now stuck with a full size product you’re never going to use. When you purchase a travel size item you can possibly save a little money, but you still get enough product to make a decision on whether you like it or not. Don’t just buy travel size. Take a look at the cost of the travel size product and the amount of product you’re getting. You might have to do a little math, but you can get a good idea of whether the travel size item is worth it or if it’s just a scam and if you’re better off just purchasing the full-size. Mascara is best bought in travel size, especially if you’re the type of person to own more than 2 at a time. Here’s why: mascara expires after 3 months of opening. If you own 20+ mascaras, and you’ve used each one, you’re never going to get through each entire tube in 3 months. Save the money, and the waste, and just purchase travel sizes. 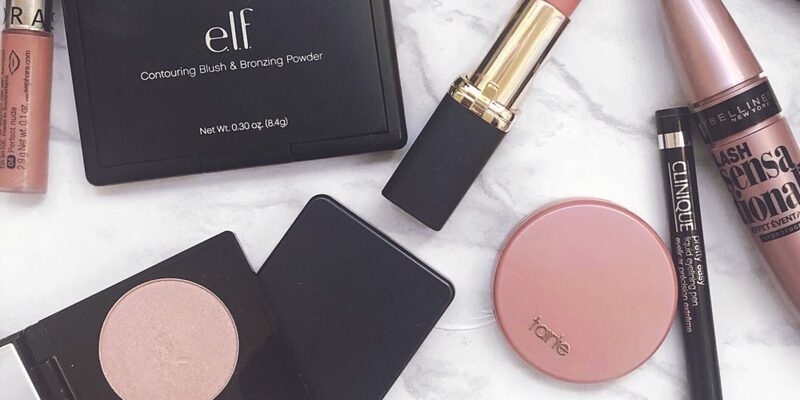 You don’t have to have an entire collection of high end makeup. Sometimes it’s better to choose which products are worth splurging on. Think about your specific needs and preferences. If your go-to, holy-grail foundation is hella expensive, try choosing cheaper alternatives for other products. If you have to have that $90 eyeshadow palette, maybe purchase cheaper mascara or liner. Drugstore makeup is king. No really, we’re so fortunate nowadays to have access to makeup that’s both affordable and high quality, people need to stop sleeping on it. You don’t have to spend an insane amount of money on makeup. Some drugstore makeup products can even be exact dupes for some higher end ones. Do a little research, check out some dupe accounts, and you’ll be sure to score exact replicas of expensive products for half the cost! Not sure where to start when purchasing drugstore makeup? Check out my Best Of Drugstore Series! You’d be surprised to find out how much product you’re throwing away when you think it’s empty. When you think you’re finished with a product, cut it open to make sure you’re actually getting every last drop, (this is a really good tip for lotions and moisturizers). Have you ever tried any of these money-saving tips? What are some of your favorite ways to save money on makeup? Great post, Ali!! Buying travel size are not only a good way to try a product but then it makes it a whole lot easier when you have to travel!! Love it! I def need to get better about watching out for sales. I know for a fact I can be better about spending less but still having the makeup I want! Thanks for these ideas! I love that you say don't sleep on drugstore brands. There are so many great drugstore brands that offer similar or even exact shades and are just as good. Heck many of the drugstore brands are owned by high-end brands anyway so they know what they are doing. After all the mascaras that I have tried, my favorite is still CoverGirl. That too! Travel sizes are much more convenient! I need to be better about shopping sales too, I'm such an impulse buyer!